Note: The “SQT” workout (SEAL Qualification Training) was created by Coach Glassman in 2004 during a training course in Coronado, CA. A slight modification of this workout was included in the 2015 Masters CrossFit Games Competition. The last time this workout was completed in our gym was June 12, 2015. Congratulations to Farhad on being recognized as Athlete Of The Week at CrossFit Amundson. 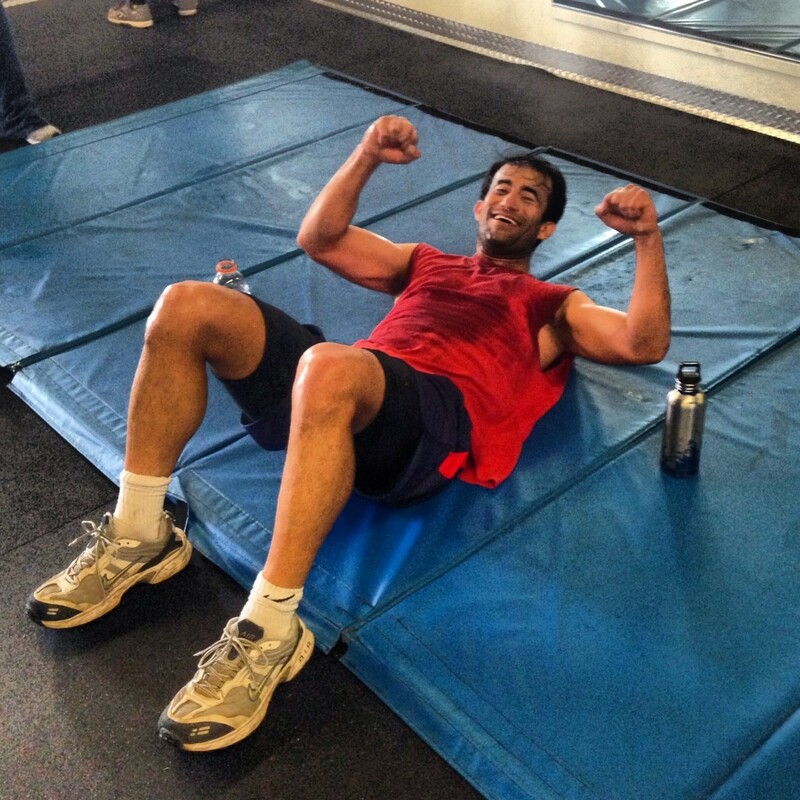 Lovingly known in the gym as “The Lion”, Farhad is a loyal Athlete in the LIGHT workout and Yoga. In addition, Farhad is an avid “Fitness Outside The Box” enthusiast and competes at a high level in soccer. Farhad has extensive traditional Karate martial arts experience, and his Warrior-Spirit is always inspiring to behold. Both inside and outside the gym, Farhad exemplifies the character values of perseverance, determination, focus, faith and kindness. Congratulations Farhad on all your success and keep up the amazing work! Phase A/B (6:15 Class Time) Monday, August 3, 2015, 6:15PM – 8:15PM. Phase B/C (7:15 Class Time) Wednesday, August 5, 2015, 6:15PM – 8:15PM. Note: If you are not able to make your assigned test date, you may test with the other scheduled test.